I’ve been looking into staying in Japan for a while now. The thing that has always put me off with Japan as a digital nomad destination is the cost. But when I actually looked into the way to live in Japan as a digital nomad, it is actually feasible if you adopt a different strategy. Admittedly, it isn’t going to be as cheap as going to Thailand, Cambodia or Indonesia. 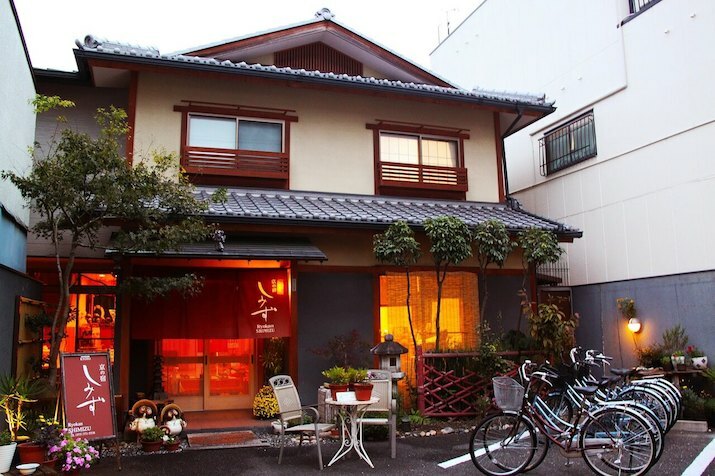 However, if you want to enjoy Japanese culture without breaking the bank, it can be done if you are prepared to be a bit creative and consider some slightly different lifestyle choices to make the stay more affordable. I’ve shared as much information as I can based on the research that I’ve conducted. You can also use the table of contents to navigate to a specific topic in the post. The most expensive thing that sticks out with Japan is accommodation. Rental prices for places in Tokyo is expensive even to the locals. So many opt to live in suburbs that are outside of the city. Depending on your budget, you can adopt a similar approach as well. The best deals will be outside of Tokyo. But it is important to remember that many of the attractions that you want to see can be accessed by train from many of the satellite cities. Another thing is if you want to go for the cultural experience, much of the authentic Japanese culture is more prominent in cities and towns such as Kyoto (which is the old Japanese capital city) and Nara. You could opt to stay in either of those locations or Osaka, which is the second largest city in Japan. How much should you budget for accommodation? If I travel solo and want to stay in hostels, I will aim for accommodation at $30AUD a night or less. But to be productive and to also enjoy some of the luxuries such as a private shower and a private room, $50-80 a night is more optimistic. It depends how you want to travel. I’ve found a few different accommodation options available across Japan. Renting a bed in a hostel. I’ve found that the cost can vary depending on the type of accommodation and the location in which you stay. I’ve seen some places for as low as $800AUD a month, whereas some other accommodation options can be over $4000 a month. I found some of the best deals on Airbnb. These were good if you wanted to travel around Japan more slowly and even stay with locals. I’ve shared a link to my wishlist of the places that I found in different cities in Japan. Alternatively, if you want to go more with the ‘hostel’ or ‘hotel’ experience, you can do a search on Agoda to find and compare deals. For hostels, you should be able to find deals from around $20/night for a bed. Whereas hotels may cost around $50+ per night. Note – There are quite a few love hotels listed on the site. Whilst they look nice, they are for one primary purpose and tend to have a smoky smell. So when making your comparisons, make sure you read the reviews of the hotel before making a booking. Which place would I choose? I actually wanted to choose locations based around Kyoto or in the Japanese suburban towns or countryside. It also depends on the time of the year that you want to visit Japan. I would personally visit Nara and Kyoto any time of the year, but preferably around April to catch Sakura, which is the cherry blossom season. (Use this link to see the forecast times of the Cherry blossom season). I would make trips from Kyoto to the other cities and locations in Japan. When I went to Japan previously, I travelled from Tokyo. 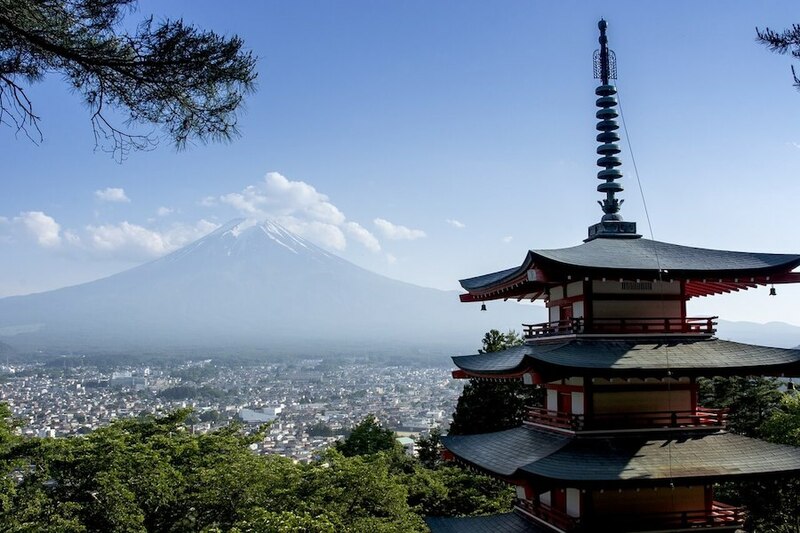 Tokyo is a great city, but if you want to experience more than just the ‘city life’, it’s better to base yourself in another location where it is easy to commute to many of the authentic ‘Japanese’ landmarks and attractions. I would personally recommend being based around Kyoto, Nara, Osaka or Nagoya. That way, if you have intercity bus passes or the JR rail pass, you will be able to see more and save on your travelling time. What would be included in the accommodation? I always look for accommodation that includes utilities and internet connection. I also hope to have cooking facilities so I can prepare my own meals in the accommodation. If the host can provide a portable Wi-Fi hotspot, that is an additional bonus as I can go outside of the accommodation and work remotely from a location of my choosing. How much should I budget for food? If you eat at home, your grocery bill should come to $50-100AUD per week. There are different ways you can eat for cheap. If you head to the supermarket and purchase items in bulk, you should be able to eat inexpensively. You can then add a budget for eating out. I’ve shared a useful video and some links that can help you with food budgeting and planning, whilst travelling in Japan. How to be a frugal foodie in Japan. 30 Cheap but delicious restaurants in Japan. Japan for cheapskates: Eat on the cheap. In my case, there are many things in Japan that I would enjoy for free. I enjoy photography and videography, as well as walking around and admiring landmarks. If I wanted, I could hire a bicycle and explore the country more, which would be relatively inexpensive. However, it is always good to treat yourself from time to time. If I want to have an inexpensive meal, Sukiya and Yoshinoya were hard to beat. 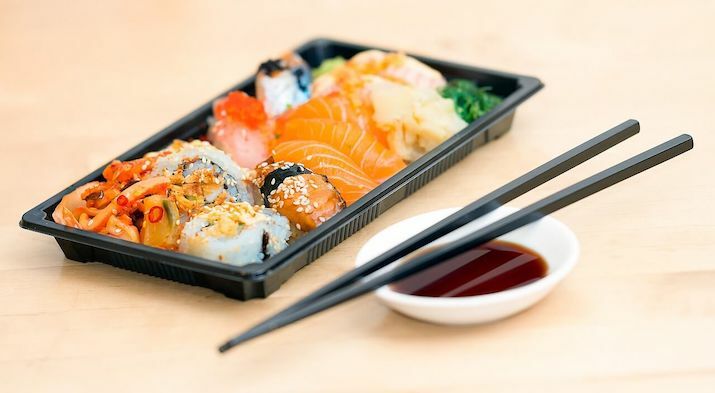 Although they are the fast food equivalents of Japanese food, the cost of a meal will often be around $8AUD or less. You can also find suggestions using the site Tabelog. If you are vegetarian, vegan or have certain food requirements, you can use Happy Cow to find other restaurant options along with their reviews. The Japan National Tourism Organisation has also provided a list of free activities tourists can enjoy whilst visiting Japan. You can also use the following apps to find activities on in Japan. Odigo Japan – User-generated tips and verified locations with a customizable drag and drop trip planner. Japan Travel Guide With Me – An offline travel guide (think e-travel book), which recommends places around the country in relation to your current location and includes articles on sights and attractions. As a final tip, all the districts in Tokyo have a local cultural map guide that is free and available at the Ward Office. These are usually in Japanese, but some have English, and have great walking courses and introductions of local historical sites that are non-commercial. If you do a quick trip to Japan over 3 weeks, you can actually purchase the Japan Rail Pass. 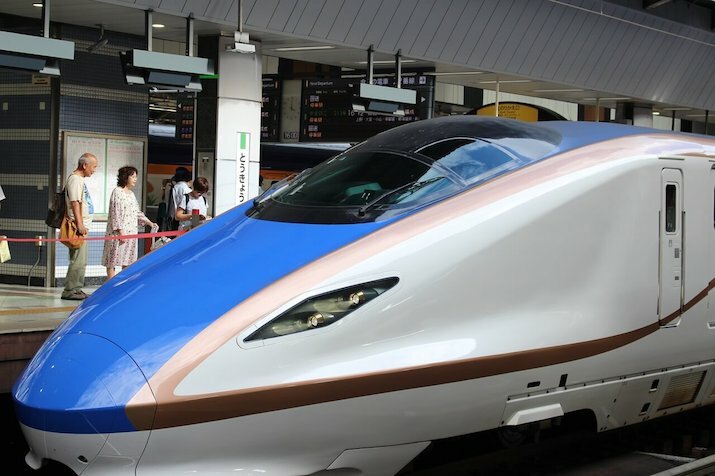 This gives you very good value for money in terms of the savings, but it forces you to travel quickly throughout the country by travelling on the Shinkansen (The Bullet Train). If you plan to see alot of the country and you want to hop from place to place, then this will be an ideal option. But it will be a more expensive option. Alternatively, you can opt for slower trains and buses that will travel between cities. This will give you more freedom to stay in a location for a longer period of time until you are ready to move on. Seat 61 has an extensive guide on how to buy and use train tickets in Japan. A much cheaper way to to travel throughout Japan is to catch the inter-city buses. If you plan to explore Japan over a period of 2-3 months, you can purchase intercity bus passes that allow you to catch the highway buses from city to city. The prices of the tickets are much cheaper than the railway options. Depending on which company you choose to travel with, you can purchase a ticket that will provide you with day-long or overnight bus trips. Plus you can use the tickets for 3, 5 or 7 days throughout a 2-month stay in Japan. There are more details in the links below, which explain the companies and the pricing. There are surprisingly good domestic air travel deals if you know where to find them. Although the budget for air travel may not accommodate the budget traveller, it will be good for those who want to see the country extensively over a short period of time. The Shinkansen is a very good network. However, if you need to go from Tokyo to Hiroshima or Sapporo, the quickest option by far will be flying. There are a few domestic air travel providers that offer special deals to foreigners that want to explore Japan. Some of the deals work out to be $100-200AUD one-way. It isn’t too far out of the budget if time is scarce. Below is a link that provides more extensive details and deals on domestic air travel. Please note that a few of these providers require tourists to purchase their air tickets whilst outside of Japan. So you may need to plan your trip in advance. You will need to check the visa details for your country on the Japanese website. Japan has agreements with many countries allowing their citizens to stay in Japan on a tourist visa for up to 3 months. It is important that you read the specifics about the visa that you enter Japan on. You can find more detailed information on the Japan National Tourism Organisation website. If you want to make the Japanese experience more manageable, then you can download these apps to help you with your travels. You can get the app to translate when you speak or even hold the camera to writing so you can understand things in your language. Very handy for getting around, especially when you need a GPS tracker to help you get around. Ideal to keep track of what you are spending in your local currency. I’ve provided some links to some forum threads and blogs that also discuss the experience as a digital nomad in Japan. Have you travelled through Japan as a digital nomad? Share your experience in the comments below. *Disclaimer – There are some affiliate links within this post. However, my opinions and recommendations are my own.